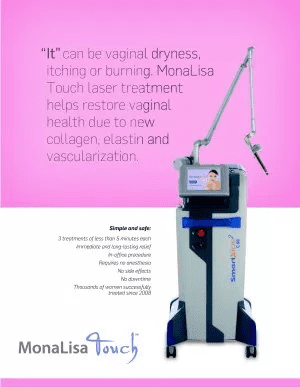 Mona Lisa Touch is a vaginal revitalization procedure to bring back function to women who suffer from GSM (Genitourinary Syndrome of Menopause). Some lasers promote tightening, thus indicating a cosmetic purpose. Mona Lisa Touch should be viewed as a medical treatment to counter vaginal dryness and the uncomfortable symptoms associated with menopause. Labiaplasty takes about two hours and is done using local or general anesthesia. You can expect to reduce the size or reduce the prominence of labia minora. Many women want to have a labiaplasty for cosmetic (appearance) reasons alone. However others wish to improve symptoms of chaffing, chronic wetness, drying or irritation caused by excessively long or prominent labia minora and excessive skin present in the clitoral hood.